The Life Changes Trust wishes to appoint an experienced Communications and Digital Media Officer within the Trust’s Communications team. The Life Changes Trust is an independent Scottish charity, established in April 2013 with a ten year, £50 million “spend-out” endowment from the Big Lottery Fund (now The National Lottery Community Fund). It is essential that the successful candidate has an understanding of the Trust’s beneficiary groups, or an ability and willingness to develop this. You will have exemplary written and oral communication skills with an ability to engage with people in interactive and creative ways. You will be a diverse, experienced and dynamic communications professional, with the ability to multi-task and work efficiently, supporting multiple teams. Reporting to the Comms & PR manager you will work with the wider Trust team. 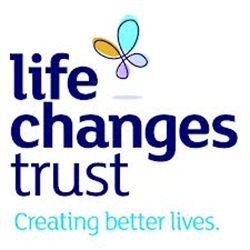 The Life Changes Trust wishes to appoint an experienced Funding Manager. For more information about the Trust please see lifechangestrust.org.uk. The Trust works closely with our beneficiaries as well as policy makers, service providers and other stakeholders to ensure that our funding and influencing activities are targeted in ways that will bring the greatest benefit to our beneficiaries. It is essential that the successful candidate has significant experience of high quality funding administration. You will work as part of the wider Trust team to ensure that funding management is well integrated with evaluation and influencing work. You will be required to work across both programmes - Care Experienced Young People and Dementia. The Life Changes Trust is a time-limited organisation working until March 2023. The ideal candidate will be reflective with excellent analytical skills, be beneficiary/customer focused with a willingness to acquire knowledge of the issues facing care experienced young people and people affected by dementia. The Life Changes Trust wishes to appoint an experienced Director of Finance and Funding to work with the CEO to oversee the Trust’s finance and funding functions. The Life Changes Trust is looking to appoint a Senior Funding Officer to our Care Experienced Young People Programme. The role will be responsible for supporting the development of high quality Trust funding management processes and arrangements, and supporting funding management within the Trust. Educated to degree level and with at least 5 years’ relevant work experience, it is essential that the successful candidate has an understanding of the Trust’s beneficiary groups, or an ability and willingness to develop this.